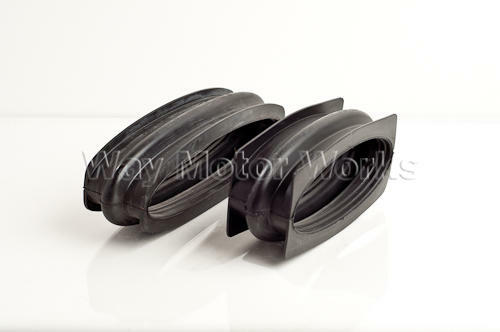 Original MINI intercooler boots for the 02-06 MINI Cooper S R53, and 05-08 R52 MINI Cooper S Convertible. Also fit R52 and R53 John Cooper Works MINI Cooper S. As the cars get older these will dry out get hard and crack. Replace them today to prevent boost leaks and loss of power, or even worse being stranded.